Engineered from the ground up to serve websites at ridiculous speeds. TurboStack combines the power of Nginx with native page caching with PHP 7 FPM, Opcache, Memcached, Redis and MariaDB. 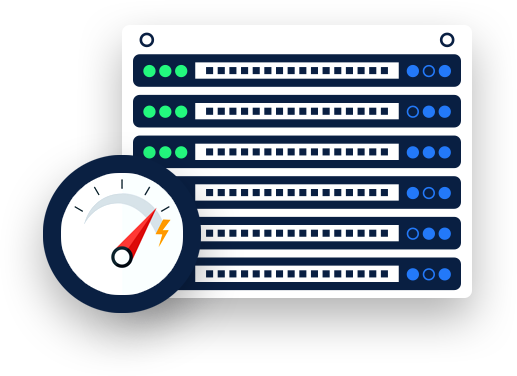 Our TurboStack Performance Platform Built on top-grade high-performance SSD drives and container technology, our TurboStack has been designed to serve websites at the highest possible speeds. Nginx is the main workhorse, facilitating high availability and native page caching. HTTP/2 enabled Apache sits behind Nginx providing the ability to use .htaccess and serves sites with PHP 7 FPM with OpCache. Cloudflare CDN is available with the dynamic content cache, Railgun. Redis and Memcached provide additional caching layers and MariaDB, the high-performance MySQL drop-in powers your database backend.